In most cases, Wash It Clean uses a soft wash process. 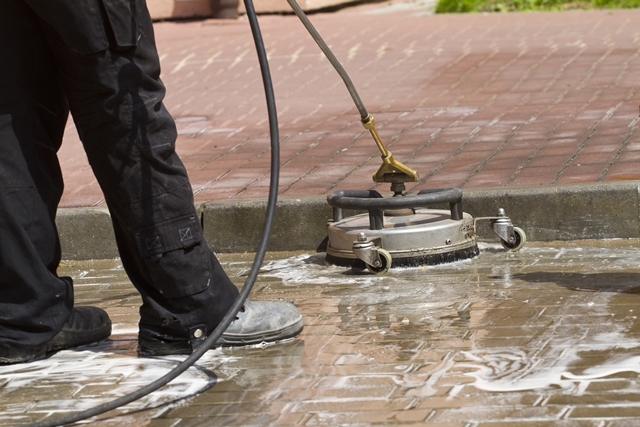 On the more hardy surfaces like brick, concrete or paver’s, we have the pressure washing equipment to properly clean to a like new condition. Using super safe, low pressure methods for professionally cleaning and maintaining exterior vertical, horizontal and Non Pressure Roof Cleaning surfaces and using a proven variety of specially blended environmentally safe detergents, Wash It Clean has a proven system to clean almost any surface in a safe, complete manner. Exterior Home Pressure (Power) Washing is recommended every 12 to 24 months to protect your paint and siding from being over run by mold, mildew, dirt and algae. Our process is safe for all types of home exteriors such as Vinyl, Aluminum, Stucco, Wood, Brick, Masonite, Hardi-board and others. Your plants and landscaping will not be harmed by the Wash It Clean Pressure Washing – Roof Cleaning – Power Washing Richmond Virginia process. Wash-It-Clean Pressure Washing-Roof Cleaning-Power Washing Richmond Virginia 804-687- 4960 offers an affordable way to maintain your homes value.